Cut from an ultra-soft and lightweight linen blend, the front body features a thin slubby mélange stripe in darker tones. The sleeves and back are in a contrasting solid black, creating dimension. Easily layered yet completely bold on its own with black jeans and boots, it’s an ideal piece year round. Loro Piana “Empire Wish” sweater in solid knit. Nautica Pima Cotton 1/4 Zip Sweater (S73105). Ensure you stay warm; stylish and comfortable in this medium weight mockneck sweater; designed with long sleeves and a partial zipper front. Made of cotton and viscose rayon knit. Standing ribbed collar has a partial zip front. Embroidered logo on left chest. Long sleeves have ribbed cuffs for warmth. Ribbed hem self adjusts for a perfect fit. Pullover styling. Great style to wear alone or layered over tops when it’s cold out. Knit cotton and viscose is soft and midweight to provide warmth during the colder months. None better – this pullover offers durable comfort that’s easy to toss on; but doesn’t look shabby either. Made of 100% polyester. Hardy sweater-knit exterior with cozy; softly-brushed fleece interior. Standing collar has jersey-knit lining for soft contact. Partial zipper front. Long raglan sleeves take pressure off of shoulders. Jersey trim at ends of sleeves and hem. Vertical zippered left chest pocket. Wicks away moisture to keep you dry and your temperature consistent. Flatlock seams. Stretches for easy movement that keeps its shape. Patagonia tag sewn onto left of chest. Grosgrain hang loop on inside of collar. bluesign approved. Great to wear alone or layer with tops. Nautica Cotton V-Neck Sweater (s71051). 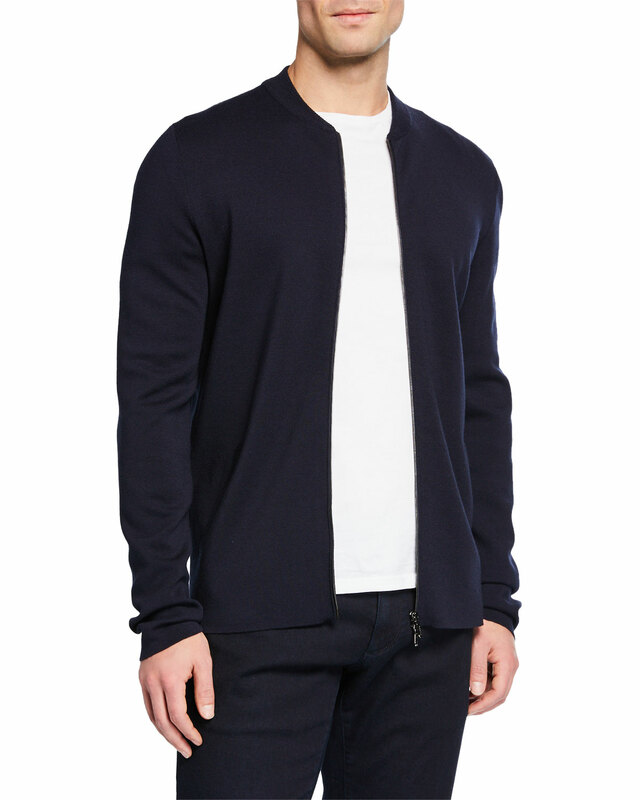 A wardrobe staple for the fashionable man; this v-neck sweater is a breathable cotton blend for comfort and has a classic; timeless look that you can wear anywhere. Made of cotton and viscose knit. V-neckline with ribbed band. Classic fit and style that you can dress up or down. Long sleeves with ribbed cuffs. Finely-ribbed cuff around hem. Ribbon tag is attached to left side seam near hem. Pullover styling. Midweight sweater is ideal for cooler weather months. A stylish; classic staple for cold weather apparel; this medium weight sweater provides a comfortable layer of warmth without a bulky appearance. Made of cotton and viscose rayon knit. Standing ribbed collar with a partial zipper front. Embroidered Nautica logo on left chest. Long sleeves with ribbed cuffs for warmth. Ribbed hem stretches for a perfect fit. Knit cotton/viscose is soft and midweight for warmth. Great to wear alone or layered over shirts during colder temperatures. Amazing unique 2-ply donegal yarn spun in Italy. Fresh take on the classic crewneck. Great way to add texture and dimension to an outfit. Yarn is lighter than it looks making this one of our favorite pieces.